FFL Board Chair and FFL VP at Walk for Life West Coast! 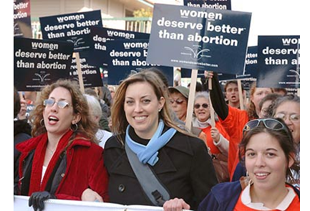 If you plan on attending the Walk for Life West Coast, please be sure to look for the Feminists for Life information table at the Info Faire. Stop by and meet FFL Board Chair Patrick A. O’Kane and FFL Vice President Sally A. Winn and pick up some of FFL’s great literature!